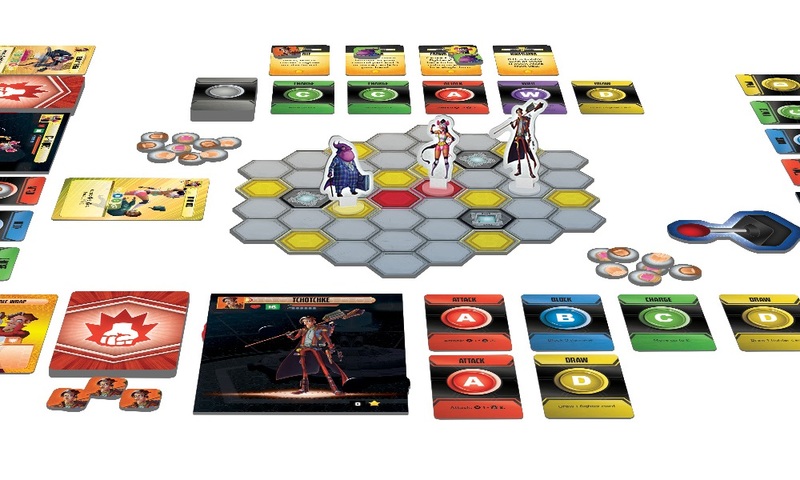 Fighting games and table top games combine to create Super Punch Fighter, a competitive game for up to six players. For players that prefer a more cooperative setting, there is also a mode of play where they take on waves of enemies. Each fighter will have their own deck with a variety of moves. These moves can be one of five buttons: Attack, Block, Character, Draw, and Wild. The first player to reach 9 stars is the winner, and stars are earned by either knocking opponents off the stage or completing achievement cards. Like traditional fighting games, buttons can be hit together for combos. In addition to standard mode is Minion Rush, a special mode that can be played alone or with a partner for cooperative play. Super Punch Fighter will be released later this summer. For more information, visit the Plaid Hat Games website.